Precious metals, energy and commodities recently hit a rough patch. But will these low “pullback” prices last forever? Even in the face of what seems (to me) as an extreme wave of inflation rushes over us? West Texas Intermediate (WTI) crude oil is in the high-$80s per barrel, while the iconic Brent Crude price is under $100. That’s low, by recent standards, for two reasons. One reason is that global oil demand growth is moderate, due to the creeping worldwide lack of economic confidence. China has slowed. Japan is moribund. Europe is a mess. The North American economy is iffy, on the best of days. This widespread lack of confidence may or may not morph into the next recession (pleasant thought, eh?). But the global economy is a big, arm-waving subject, and let’s not go there just now. Another reason for declining oil prices is U.S. fracking. Let’s discuss that. As I’ve written before, the fracking revolution has changed the rules of the global energy game. Every new barrel of “fracked” U.S. crude displaces a barrel of imported oil. Even five years back, nobody really saw the “shale gale” coming. Yes, a lot of people were leasing land and planning drilling programs. But the overall impact of widespread fracking was entirely speculative. Certainly, at high political levels, U.S. policymakers have been taken by surprise by the fracking revolution. Large, new supplies of affordable oil and gas were not part of the political script. Overseas, the fracking effect has confounded many a foreign potentate who grew used to having his way with oil prices, via twisting a few valves. And as to the potentates? Well, screw ’em. Let’s frack away! Here in the U.S., the sweet spots are known. Leases are in place. Fracking tech is out there. The system for drilling multiple wells, staging logistics and completing the holes is quite developed. The barrels are coming — for the near and medium future, at least. Large oil exporting countries — Saudi Arabia, Venezuela, Russia, etc. — have reason to sweat. Their traditional flow of petro-lucre is tightening, if not drying up as their own internal consumption rises. That is, many big oil exporters are called “petro-states” for a reason. They need ever higher oil prices, from net exports, to pay the national bills. Without higher and higher oil prices, they can’t balance accounts. Tough luck. Meanwhile, lower oil prices are like a global tax cut. And if you’re an airline, railroad, shipping company, trucking company, farmer or fisherman — let alone running a mining operation — stable or declining energy prices means that a key part of your cost structure is moderating. Whew! To be sure, I do NOT believe that oil prices will crash down into the $30s and $40s per barrel, like in late 2008 or early 2009. I’m not in that school of thought — unless we have another huge market and economic rout, again. In which case, all bets are off. So what’s the “right” price for oil? I’d say about where it is now. The recent price for oil is low enough to allow large energy-users run their businesses and still make money. Yet the energy price is high enough to encourage people to drill wells and produce more oil and gas. Win-win, all around. 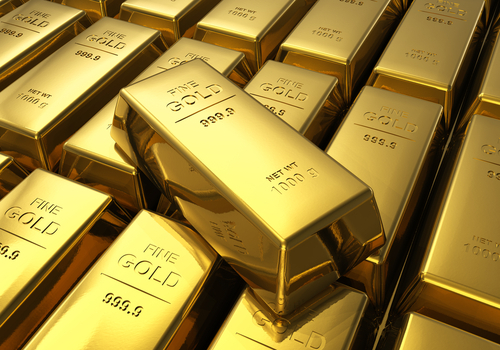 “Gold Plunges as Fears of Inflation Fade,” noted the Wall Street Journal, last week. And yes, the gold-silver decline was nasty, taking down nominal precious metal prices, as well as the share price for many a mining firm, large, medium and small. So, why are “Fears of Inflation” fading? It helps that oil prices are moderating, for reasons I just discussed, and likely will stay moderate for a time. Control over energy costs is good for many a business. No complaints from me, on that point. Then again, for all the moderation in energy prices, we still see wild immoderation — call it utter profligacy — in government spending across the globe. That’s raw inflation, being cooked into the books. Governments everywhere — certainly in the U.S. — spend more than they take in, and run up future obligations that they’ll never be able to pay, no matter how many Cyprus-like haircuts governments give to savers and investors. My point is: why are currencies — dollars, pounds, yen, euros, etc. — not still at risk for inflation? Why are people selling gold and silver down? Well… are people really doing that? Or is it paper gold and paper silver that sold down? Because from what I hear out in the trading pits, the “physical” metal is still scarce, especially in large weights. Well, I’m truly sorry that many junior mining plays are “down” in share price, in this overall tough market. Small mining companies, especially on the Toronto Venture Exchange, carry a boatload of risk — that much you should know. Yes, you can make “big” money with some of those plays, under the right circumstances. But they’re NOT the kind of things on which to bank your retirement wad, if you know what I mean. A few readers have written to ask, along the lines of “Why not sell out, and more on?” Well, selling out is always an option. Then again, with the companies I’ve recommended to my paid-up readers, I did my homework. I did the due diligence, and research. I visited the site (not just the Website), saw the rocks, talked with the geologist, met management and scrubbed the books. I hate vicious, stock market roller-coaster rides as much as anybody, but in my view there’s something there and I’m willing to be patient. Why be patient? Why not take the money off the table and sit on the sidelines for a spell? Looking around, the global economy is pouring more metal than the mines and pits can deliver, certainly into the future. Old mines are declining in grade, such as we’ve seen with the recent knocks against copper mining in Chile, for example. Most new mines are horrendously expensive, such that even big guys are cutting back, like BHP Billiton. Meanwhile, new and significant discoveries are few and far between. In other words, the “long-term” investment paradigm for exploration and mining is still valid. We have to navigate the shoals, and live through the up and down metal and share markets, which are a disaster, and which may be so for a while. So what lies ahead? Darwinian selection. No, the intermediate and large guys will have to — perish the thought — go out and BUY something that’s worth a crap. They’ll have to find strong plays, with solid resource numbers, in predictable and safe jurisdictions, with the prospect (so to speak) of turning brown-stained dirt into an economic ore body and mine — with hallmarked ingots coming out the back end. When that time comes, I have a few ideas if anyone is interested.